Devereaux is a futurist, and she and her colleagues point out in the book that we are about 50 years into a 75-year stretch of turbulence (probably one of the most turbulent times in history).Â During this 75 year stretch, some people will move forward in the world, and some just won’t, and participation in innovation and new approaches to leadership is not optional…it will be required in order to move ahead. 1) Stop trying to resist the chaos in the world.Â Chaos is a sign of innovation and growth.Â The more you resist chaos, the more you will stay stuck, the more exhausted and frustrated you will be. 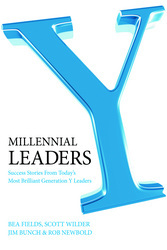 2) Start reading everything you can get your hands on about the next generation of leaders (both Gen X, Gen Y and about Tweens).Â If you are going to lead, you have to know who your future followers are and what makes them tick. 3) Act daily.Â Get up each day and take 3 big action steps every day in the direction of growth.Â Â Drop your perfectionism and move on. 4) Do the right thing.Â In this day and age, the public is watching every move you make.Â When in doubt, step back and make sure that you are making an honest, truthful decision. 5) Stop spending time or doing business with people who don’t share your values or who are stuck in the past.Â Design your personal and professional relationships based on your core values and by all means, don’t do business with people who lie, cheat or steal your stuff (including taking your ideas and claiming them as your own). 6) Move forward or just get out of the way.Â If you are stuck, stop trying to get other people who want to move forward caught up in your old ways of thinking and living.Â If you are one of these people, you will know it, because the people around you will be pushing you away (trying to get you out of their forward path). 8)Â Listen to the clashes and complaints.Â Inside a clash or complaint is an answer to growth.Â Don’t fight a complaint…listen to it and find out what message you need to learn.